I made great time coming down from New York and got to Bob Whelan’s place at 10.30 in the morning. We went out to have a light breakfast. After breakfast we took a walk around Washington for a while, and then returned to his apartment. 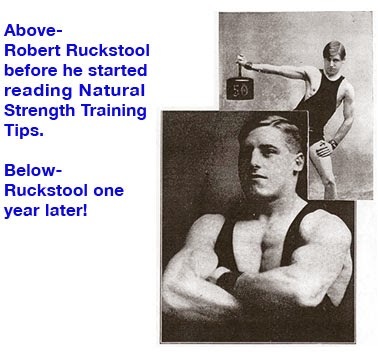 Before going to train I took a look at Bob’s collection of old training literature. 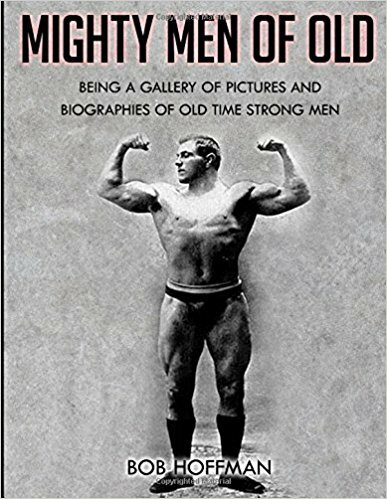 He has an incredible collection of books from the turn of the century, including those of Eugen Sandow, right up until the present day. I found myself getting all geared up to train from this motivating literature. Now it was time to leave for Bob’s gym. I had brought some custom-made weight plates from Iron Island Gym. I wanted to park my car as close to Bob’s gym as possible so we wouldn’t have to carry the plates further than necessary. I got a parking spot right across from Bob’s facility, so we took the plates and off we went. Bob’s gym is located on the third floor of an office building in Chinatown. On the first floor is a nice looking Chinese restaurant. Since we were carrying weight plates we had to go through the restaurant to the back where the elevator was located. Bob and I both had sweat plants and workout shirts on. Since Bob has a shaved head, and carries a lot of impressive muscle and looks really strong, he looks menacing. I thought it rather amusing that we were weaving through the lunch tables attired as we were, with everyone around us dressed up. Entering Bob’s gym was like going back in time. There were old photos everywhere on the walls. As for his gym space it was packed with equipment, reminding me of where I live along with all my training gear. Bob has a nice mix of machinery and lots of free weights. He told me that he would soon be adding a couple more Hammer Strength pieces to his facility. There is a long hallway which runs around the entire third floor, and Bob has sandbags which his clients carry around the floor. He also has thick bars and old-time barbells which are in mint condition. We were now ready to train. I went first. 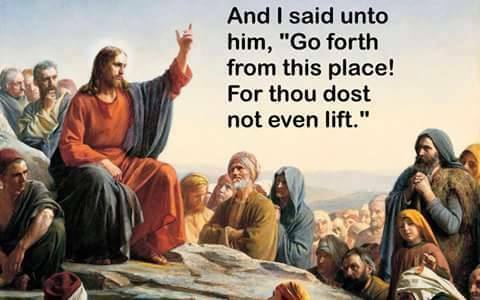 The bench press was my first movement. I took 225 lbs for one set of 30 reps. I was feeling real good because my bothersome right shoulder felt great. The second movement was the Trap Bar deadlift, for 3 sets of 10. After a few warmups sets, Bob had me Trap Bar deadlift 400 x 10, rest one minute, then do 500 x 10, rest one minute, and finish off with 550 x 10. My body was now ready to explode and Bob was mentioning that we would finish with the sandbag. That was the last thing I needed to think about. Just getting through the workout was hard enough. My third movement was the pulldown which was neat because my upper back was already screaming from the deadlifts, but neither Bob nor I were looking for any mercy. I took about 200 lbs for a set of 15 reps, then rested one minute, upped the weight for a set to failure, which happened on the ninth rep. Now I was ready for a Hammer Strength Iso-Lateral Leg Press. I did one set of 20 reps with 550 lbs. My legs were shaking uncontrollably after 15 reps but I managed to complete the set, and ended up falling out of the leg press machine. While crawling on my hands and knees Bob kept reminding me of the bloody 200-lb sandbag. After I managed to get to my feet I bent to pick the bag up. With a gut-wrenching effort I bear-hugged the bag up and began my journey around the third floor along its four long hallways. As soon as I started walking with the bag I realized there would be visits to the floor. I did not go very far before exhaustion set in and I went down to the floor for the first time. It was an incredibly uncomfortable feeling and I was still nowhere near finished. At that point I did not want to contemplate the three sides of the building I still had to go. An interesting point about the floor and its design is that there are some professional offices on it. The employees there can see and hear everything in the hallways, if they so choose. As Bob was pushing me to regain my feet, heads were popping out of the doorways. Their faces showed a terrible horror as if having to witness this was more than they could bear. Through all of this Bob had a big smile on his face. He was really enjoying himself. I battled on with the bag, but soon went going down again. It wasn’t until my second collapse that I realized I was holding the bag too high on my chest. As I got off the floor to finish my last surge I held the bag lower on my torso. After I finished the course I collapsed in a giant heap on the floor. After my visit to the floor it became Bob’s turn to train. Bob’s first movement was the incline press using a thick bar which he couldn’t close his hands around. After his warmups he took 285 lbs for 5 reps. With little rest he went to the Trap Bar deadlift. After warmups he performed an all-out set of 10 reps with 485 lbs. Color was now draining from Bob’s face and I felt like mentioning the 200-lb sandbag he would be finishing his workout with, but I kept my mouth shut. Next, looking very queazy, Bob did seated presses for 6 reps with 215 lbs. Bob’s fourth movement was the prone row. For his first set he did 150 x 10. With little rest he brought the weight up to 175 lbs and did 8 reps.
Bob was now ready for the 200-lb sandbag, which he picked up with great expertise. He carried it around the floor looking as if his life depended on it. Bob has a progression scheme with the sandbags. Once someone can carry a given weight around the entire floor, he or she gets a heavier bag to work on next time. Bob has a number of 50-lb bags, and one 25-lb bag, which he packs into a larger canvas bag according to the required load. The recovery We had a great workout but needed a period of silence in which to recover. We were both excited because next we would be making our way to Morton’s Steak House. When we got to Morton’s we surveyed the menu and each ordered a steak for two. We were so hungry that we each would have ordered a steak for three if they had had it. After our steak and salad we got some chocolate mousse cake, which was great. As we left Morton’s, Bob told me of a great ice cream store where we each got a pint of chocolate chip which really hit the spot. We had a terrific time of training and eating and I regretted having to return to New York that evening. I had to return because the next morning I had to train a few people. I was feeling the effects of a great workout and a long day when I said farewell to Bob. Bob let me know that he would come up to visit me in New York. Then we will have a great training session at my house and afterwards go to a great New York steakhouse. 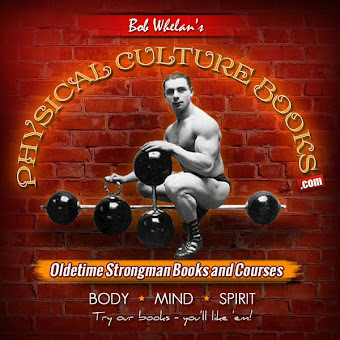 Go to Physical Culture Books.com and click on KINDLE Links. When people think about improving their heart health, they may think of doing aerobic exercise or cardiovascular training such as running or jogging. However, recent research by the American Heart Association has proven that strength training or weight training counts for heart health, too. Studies have shown that lifting weights lowers the body’s heart rate and blood pressure response, thereby decreasing the demands on the heart when people perform tasks like picking up a heavy bag of groceries or shoveling snow. Research has also proven that lifting weights on a regular basis lowers ones resting blood pressure. If you have not received a physical within a year, do so. 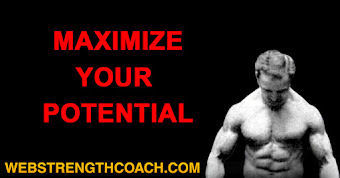 It is also a good idea to obtain a physician’s medical release for initiating a strength program. Fancy equipment and expensive shiny machines are not necessary to benefit from a well-designed strength-training workout. Usually, the machines that are the most complicated to operate do the least. Working out at home with a set of dumbbells or adjustable dumbbells (Sport Blocks or Power Blocks) and a bench or Swiss ball will do just fine. I train many people with varying fitness levels (from 80 year old stroke victims to pro athletes), and no one needs much more equipment than previously mentioned. Many quality exercises do not even require any equipment. A complete total-body strength-training workout should take you no longer than one hour. Compound multi-joint movements such as pushups, chin-ups, and squats should be the core of your workout. Multi-joint movements stimulate the most muscular growth because they work many big muscle groups. 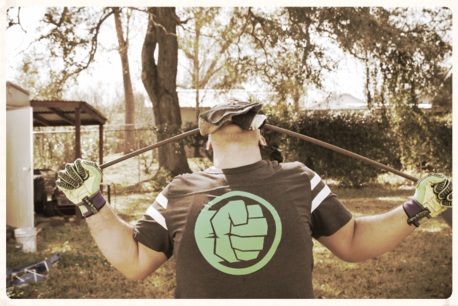 The big range of motion from these exercises also stimulates a greater metabolic response (i.e. burns fat at a more rapid rate), as opposed to an exercise like calf raises that isolates a very specific area. 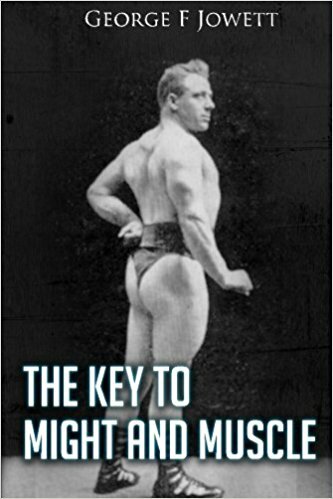 I could write at great lengths about this topic, but just “keep it simple” – perform compound multi-joint movements. Seven to nine exercises are sufficient for a complete workout. In general, one set is sufficient, but two sets can be performed. A “set” consists of 8 to 20 repetitions using impeccable form taken to a point of momentary muscular fatigue or close to that point. A typical workout would look like this: pushups – 1 to 2 sets of 8 to 15 repetitions, chin-ups – 1 to 2 sets of 8 to 15 repetitions, squats – 1 to 2 sets of 12 to 20 repetitions, presses- 8 to 15 reps, rows – 8 to 15 reps, lunges – 12 to 20 reps, and crunches or sit-ups – 15 to 20 repetitions. Take about 3 to 4 seconds to raise the weight and 3 to 4 seconds to lower it. Make sure you allow at least 48 hours between workouts in order for your muscles to recover and grow. 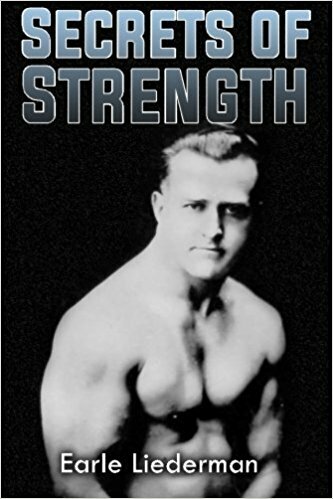 These are very broad and basic guidelines for setting up a strength program. 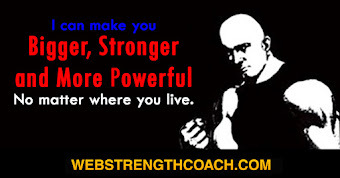 I would suggest consulting a qualified strength coach or fitness professional regarding any questions you may have and or designing a more personalized strength-training regime.